Another volley has been fired in the battle to stop Netflix viewers from sneaking across virtual borders. CBC News has learned that the online payment service PayPal has cut ties with another major unblocking company — Barbados-based Unblock-Us. Another volley has been fired in the battle to stop Netflix viewers from sneaking across virtual borders. CBC News has learned that the online payment service PayPal has cut ties with another major unblocking company — Barbados-based Unblock-Us. Its customers can no longer make payments using PayPal. Earlier this month, it was also revealed that U.S.-based PayPal had cut off Toronto unblocking company UnoTelly. For a fee, unblocking companies give viewers the technology needed to hop virtual borders and stream shows and movies restricted to other countries. 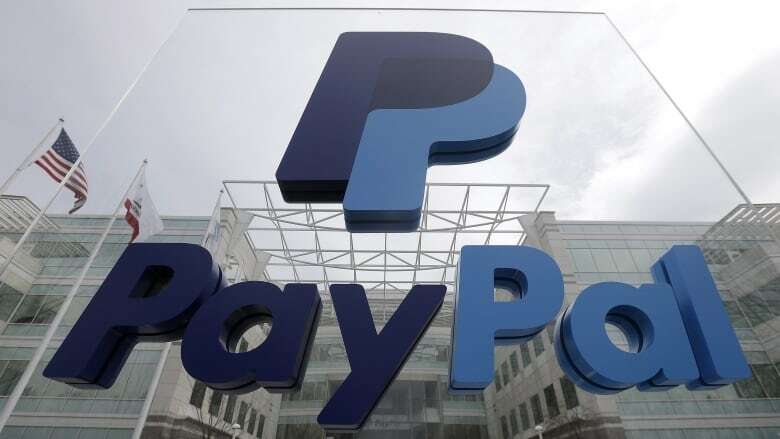 PayPal's actions follow Netflix's declaration on Jan. 14 that the streaming service was cracking down on customers who hop borders to watch content. Soon after, numerous Unblock-Us subscribers began complaining online that they could no longer access Netflix outside their region. Some customers also started asking why their PayPal payments weren't going through. "PayPal tells me there's problems with your account so I can't pay you!" tweeted a customer to the company on Jan. 29. "My PayPal subscription with you just got cancelled after several days trying to pay," complained another customer on Feb. 2. It appears Unblock-Us did not publicly acknowledge there was a problem until Feb. 10, when it tweeted, "We can no longer accept PayPal. We do accept all major debit/credit cards though." The unblocking company did not respond to CBC News's numerous requests for comment. <a href="https://twitter.com/sockformation">@sockformation</a> we can no longer accept Paypal. We do accept all major debit/credit cards though. CBC News asked PayPal why it had targeted Unblock-Us and UnoTelly. Without naming either company directly, a spokesperson stated in an email, "PayPal has recently discontinued service to certain businesses that actively promote their services as a means to circumvent copyright restrictions and violate intellectual property laws." "We apologize for any disappointment this may cause our users," the spokesperson added. Content rights holders like Sony Pictures often negotiate deals on a country-by-country basis. So streaming services such as Netflix put up virtual walls or geoblocks to prevent customers from watching shows not available in their own region. The Canadian Copyright Act prohibits a company from offering services primarily for the purpose of sneaking over those virtual walls, said Ariel Thomas, a copyright lawyer with the firm Fasken Martineau in Ottawa. "So the law is really looking at services that are offered and marketed for getting around geoblocks," she added. But the lawyer cautions that this law has not yet been tested in court. Unblocking companies also offer legitimate services for people wanting to protect their privacy on the internet. Canada's UnoTelly may have become a target because it openly advertised on its website that it could help viewers border hop. "Tired of being denied media content online because you are not in the U.K. or U.S.?… UnoTelly allows you access to over 300 geo-restricted channels regardless of where you live," stated the site earlier this month. It appears that UnoTelly has now removed this line of advertising. Thomas suspects production studios are putting pressure on companies such as Netflix and PayPal to clamp down on cross-border watching. For rights holders to pursue cases publicly in the courts would be both costly and potentially damaging to their reputation, she said. "It would be very unpopular," said Thomas. "People don't really understand the issue. I think they feel like they're paying for Netflix so why can't I access everything that Netflix has?" But now Netflix and PayPal are facing the wrath of some customers unhappy with the crackdown. "I have cancelled my Netflix service," commented a reader in response to a recent CBC News story about PayPal breaking ties with UnoTelly. "PayPal is in collusion with them. Drop PayPal now," added another person. "Cancel both and send a message," stated someone else. The unblocking company UnoTelly is also growing frustrated. Founder Nicholas Lin told CBC News he is trying to work on a solution with PayPal, but so far has had no luck communicating with the company. "There is zero transparency in PayPal's handling, as there is no reliable way to contact PayPal to clarify the situation," he said. PayPal would not comment on UnoTelly's concerns.